Gellert Tamas is an acclaimed writer, journalist and documentary film maker. His books, articles and films have been widely read and debated. For his journalistic writings, books and documentaries, he has received a number of awards, both in Sweden and internationally. 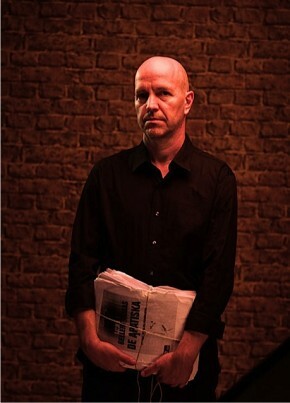 Tamas frequently works in a documentary form, where he combines investigative journalism with literary story telling. Since the beginning of the 1990’s Tamas has written for newspapers such as Dagens Nyheter and Aftonbladet and for, among others, the current affairs program Cold Facts (Kalla Fakta) on TV4 and Mission Investigate (Uppdrag Granskning) on Swedish Public Service Television. Tamas’ first stories concerned the changes in Central and Eastern Europe after the fall of the Berlin Wall in 1989. He later came to focus on issues of identity, racism and xenophobia and in 1991 he presented the first substantive coverage of racist violence in Sweden. Tamas frequently investigates authority from the grass roots level and places events and people into larger political and societal contexts, whether it’s a matter of football or of revolutions. Tamas’ first book, Sweden, Sweden Fatherland (Sverige, Sverige fosterland) published in 1995, is a close up portrait of youth cultures in a Sweden marked by economic crisis and expanding right wing extremism. Over a time period of four years Tamas and photographer Robert Blombäck followed groups of young people, from the suburbs of Stockholm to tiny municipalities in the south of Sweden. The critically acclaimed book The Laserman, published in 2002, become Tamas’ breakthrough to a wider audience. The book, telling the story of the racist serial killer John Ausonius and the society that fostered him, has sold more than 200 000 copies in Sweden and it has been translated into some dozen languages. The sequel, The Apathetic, published in 2009, about the scandal of the so called apathetic children, was also praised by the critics and given epithets like “a master piece” and “the most important reportage since the Second Wold War”. The book gave rise to heated debate that led to the then head of the Social Democratic party, Mona Sahlin, publicly apologising for the government policies. The book A Brief Moment in Life, a compilation of Tamas’ most well known reportages, was published in the autumn of 2011. Tamas has also produced several documentaries, on topics such as the racist serial killer John Ausonius and the flooding disaster in South East Asia in 2004. His latest documentary, about the Swedish-Eritrean author Dawit Isaak, has been shown in the EU-parliament. Tamas’ reportages often live on through adaptations and in new arenas. Both The Laserman and The Apathetic have been staged with scripts written by the August Prize winner Bengt Ohlsson and the author and playwright Jonas Hassen Khemiri respectively. The Laserman was also adapted into an acclaimed TV series by the director Mikael Marcimain, with David Dencik in the lead role. Tamas frequently takes part in the public debate. He was vice president of Swedish PEN between 2005 and 2007 and in 2007 he and the Swedish national team of writers became European football champions. In 2011 Tamas was appointed professor of practical journalism at Gothenburg University.